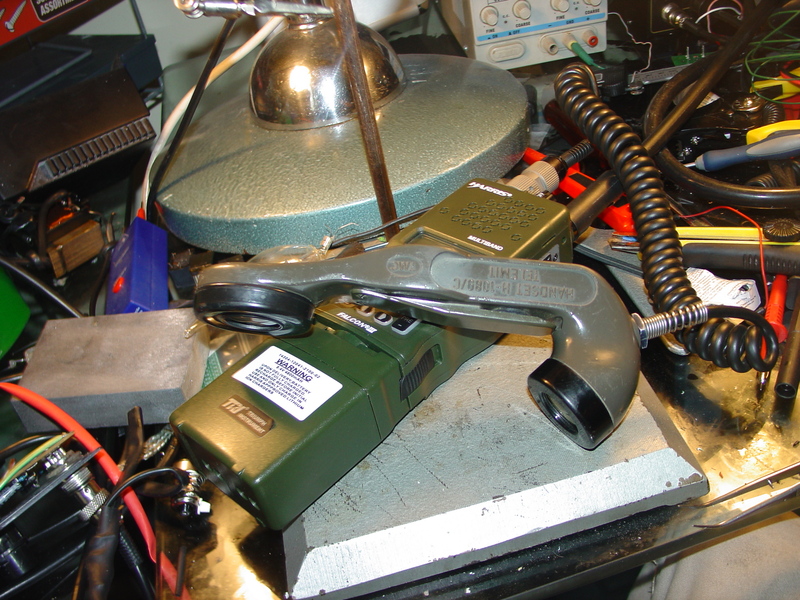 I got myself a TRI PRC 152 replica radio because I like size of it and overall look of this dial band radio. 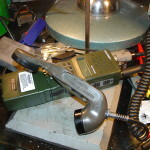 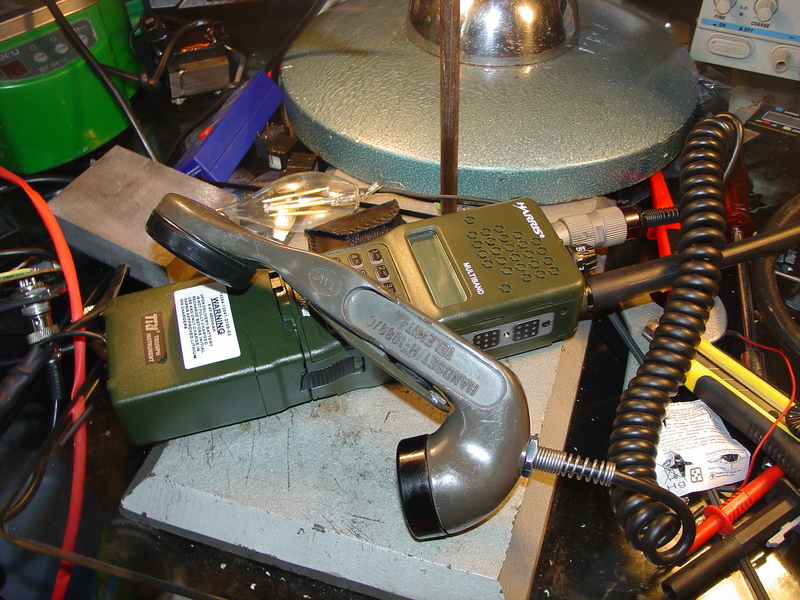 My budget was low and I had to chose between ruler antenna or H250 handset adapted by TRI company to fit their radio. 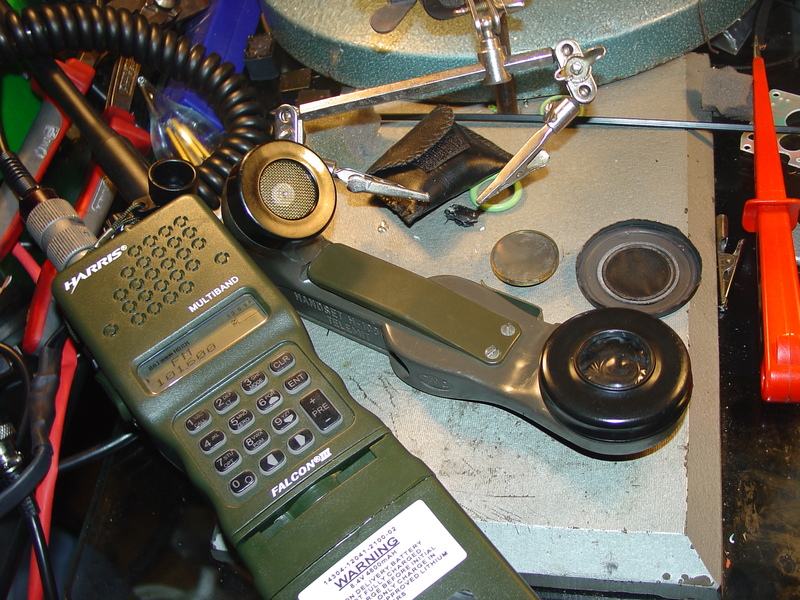 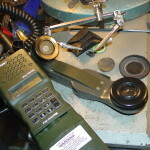 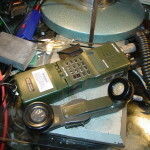 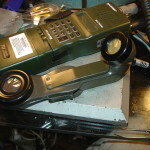 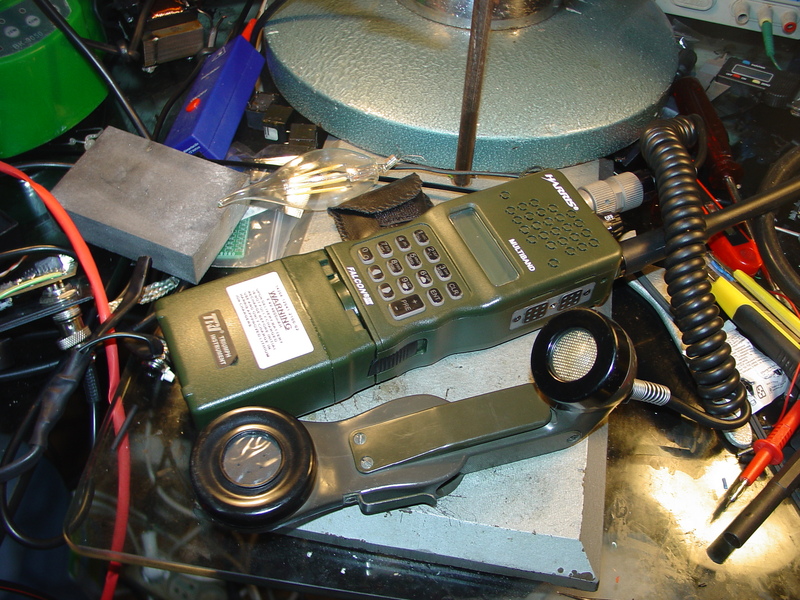 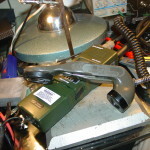 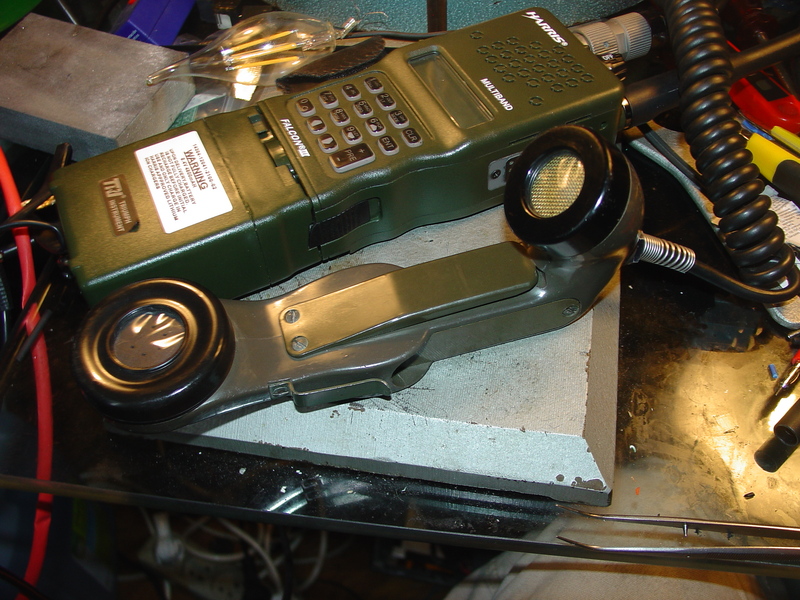 I chose antenna, but meantime i got myself a original military H1089 handset, nice green almost meet TRI prc 152 radio and would make a nice couple. 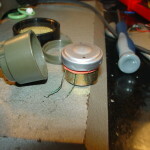 Solve microphone problem, it’s possible to build transistor amplifier for original microphone but I don’t see point, You can get from e-bay tiny microphones for less then 1 USD and fit it inside and that’s way i chose. 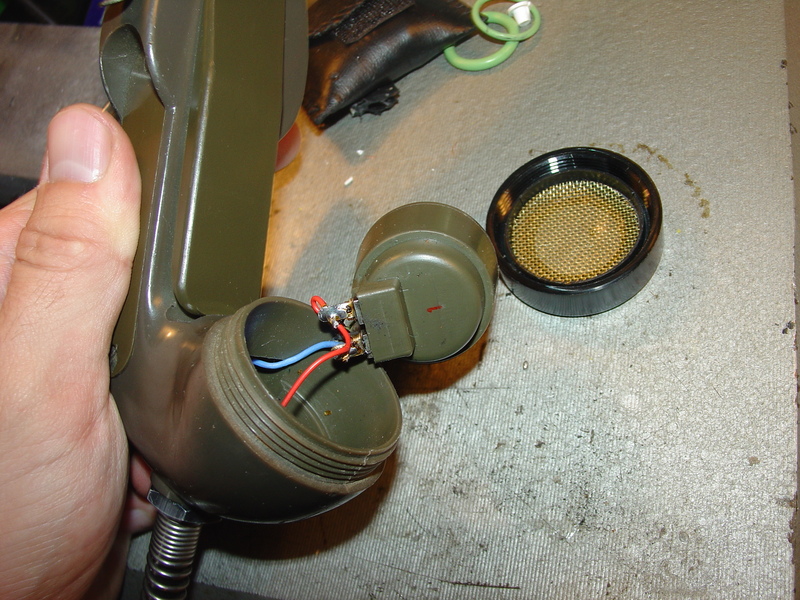 Replace microphone for modern civilian (HAM) – You can get it from almost any modern hand-microphone. 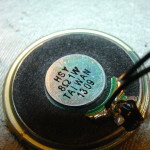 I puncture plastic film to get almost whisper readability (indoor as base station) – if You are going to use outdoor don’t do this because You loose watertight and can be hard to read in lout environment. 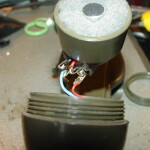 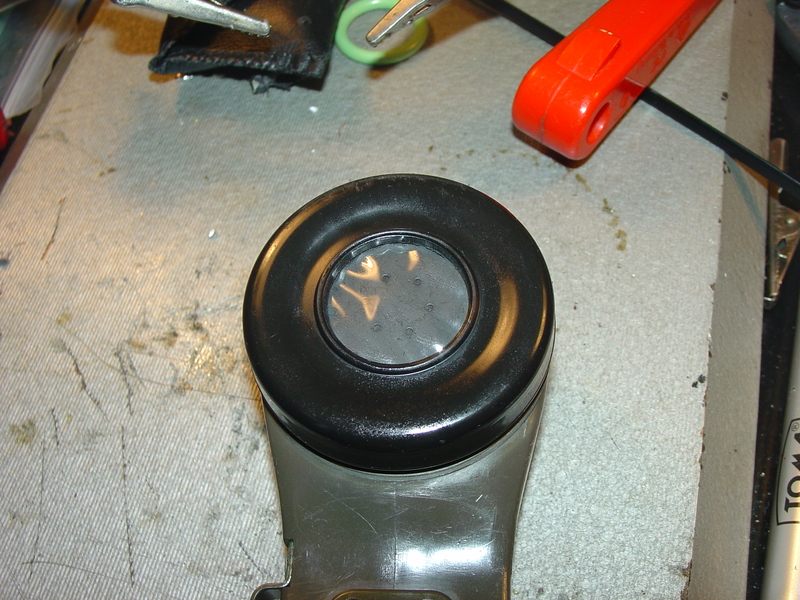 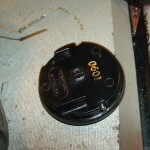 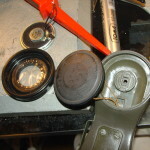 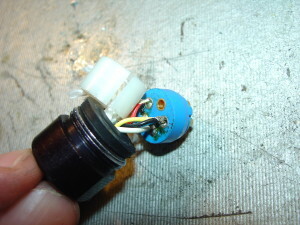 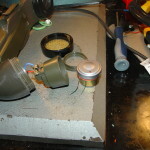 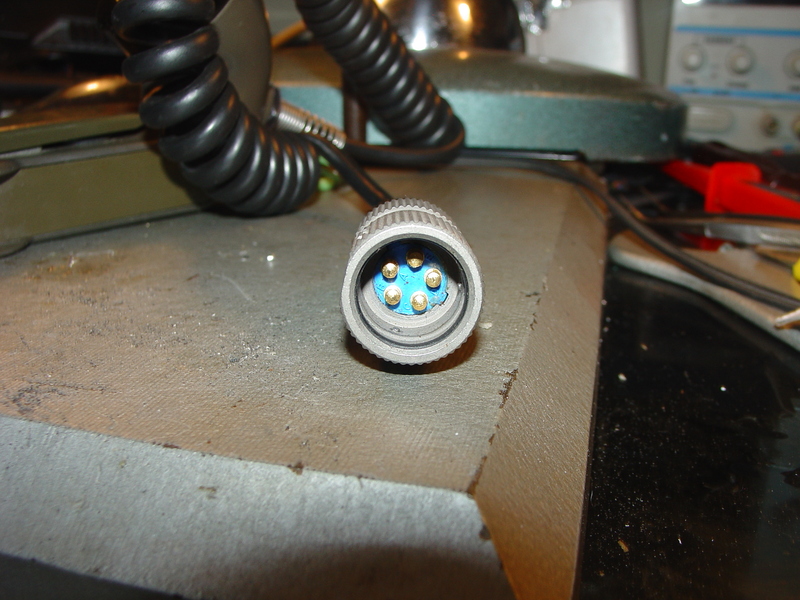 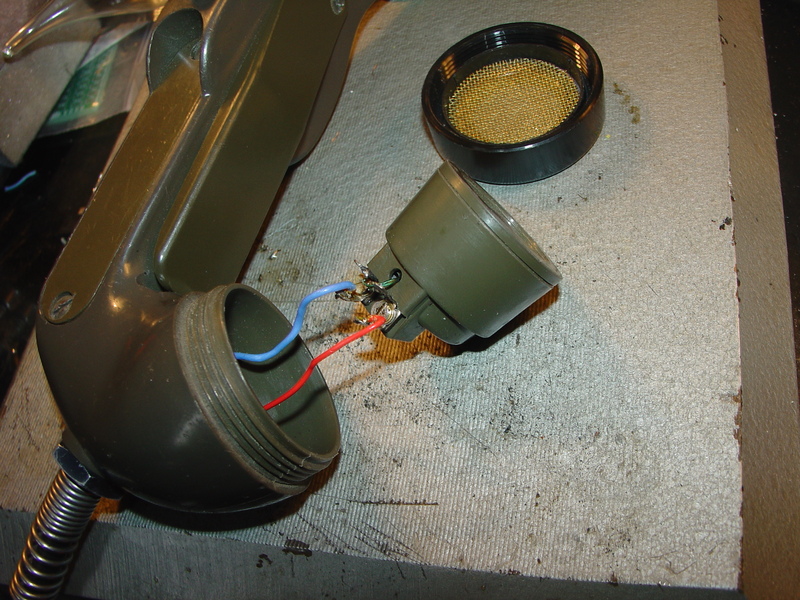 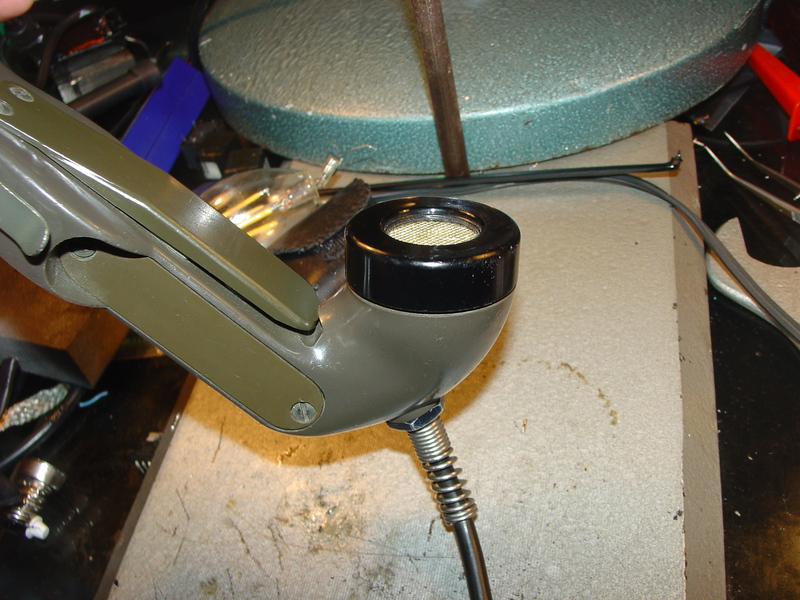 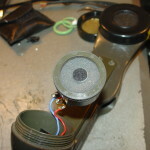 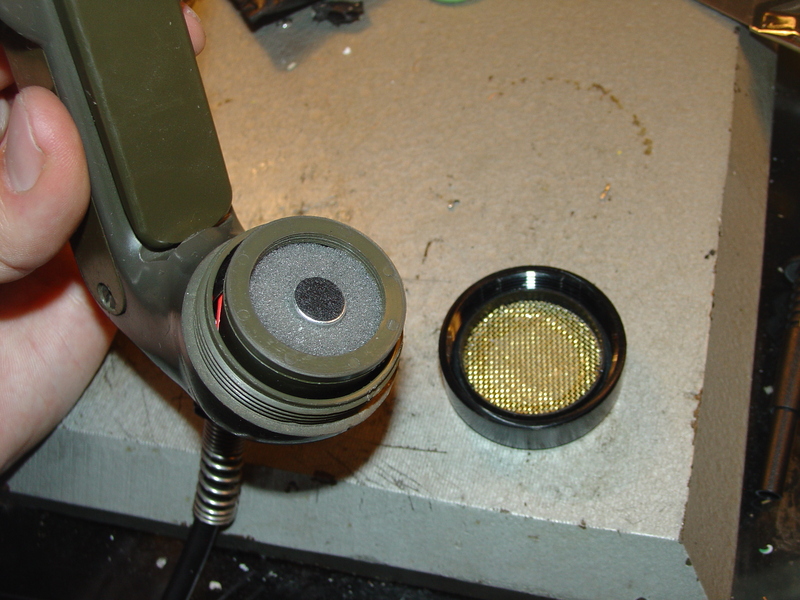 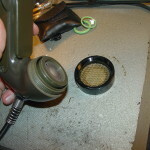 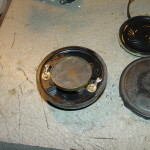 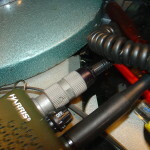 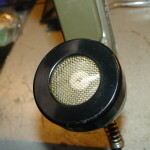 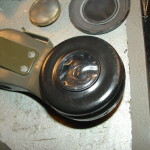 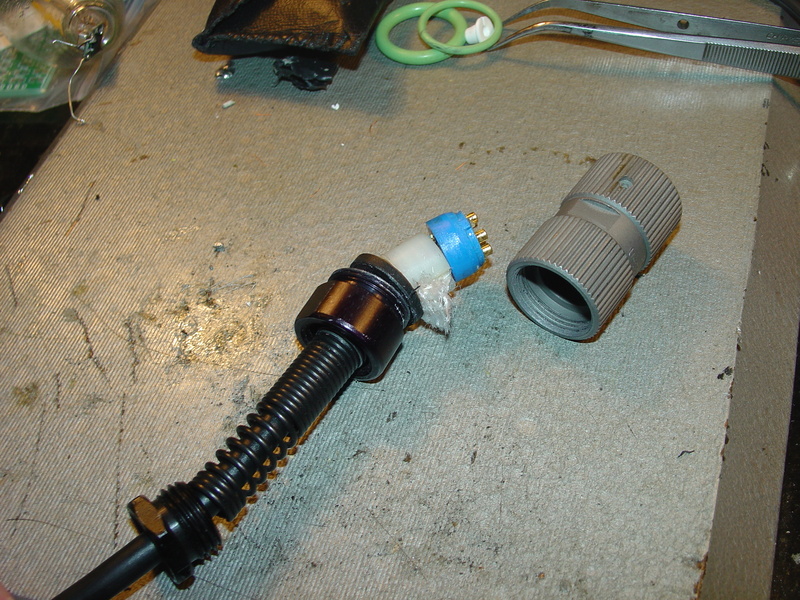 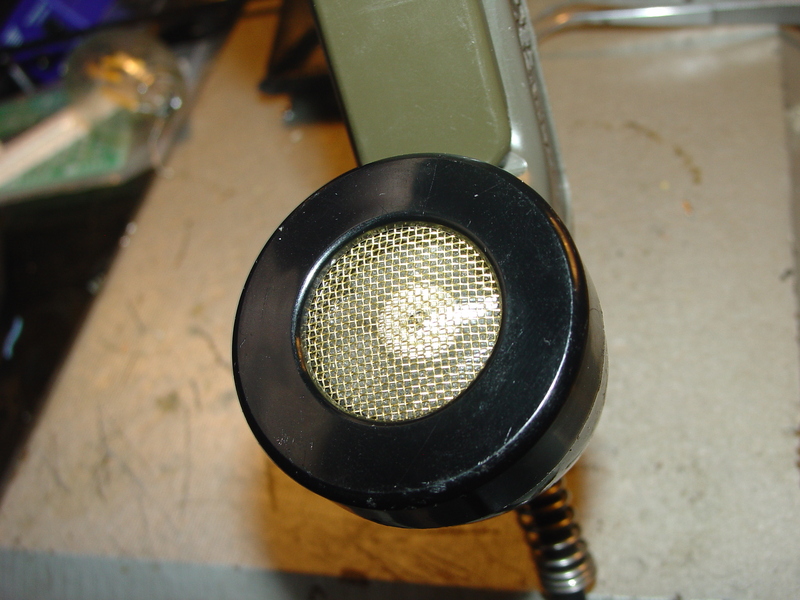 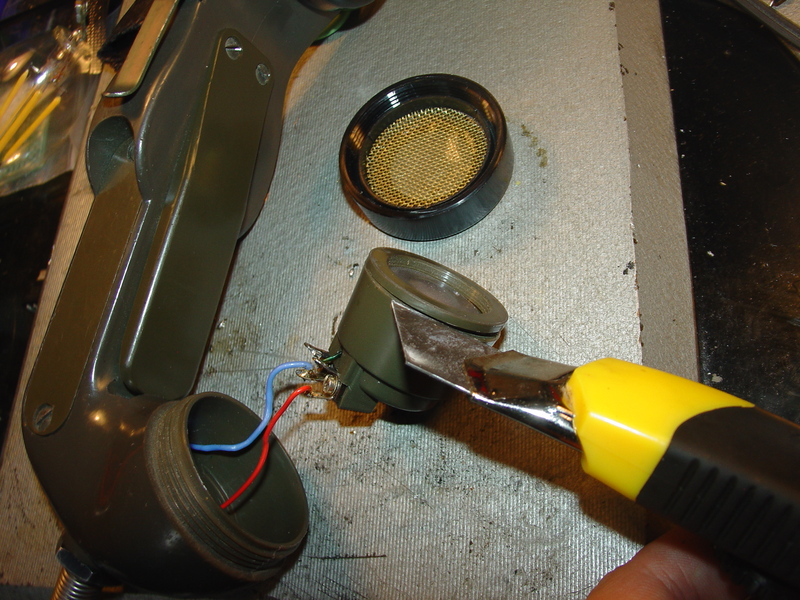 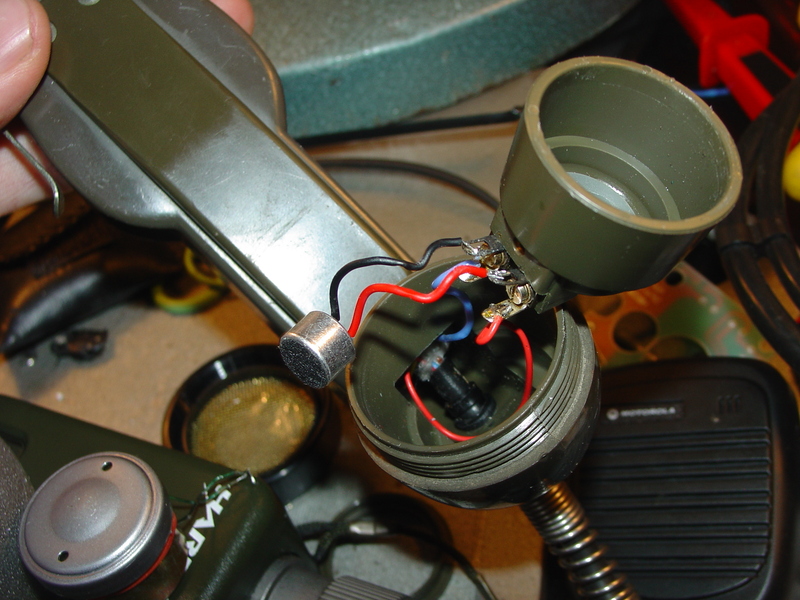 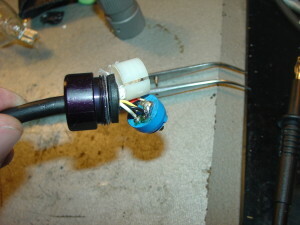 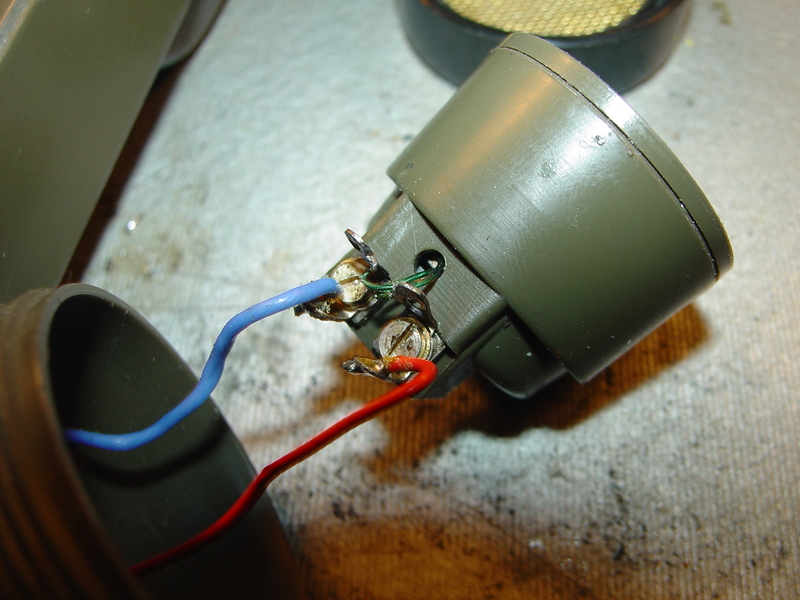 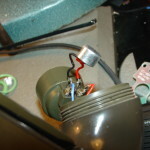 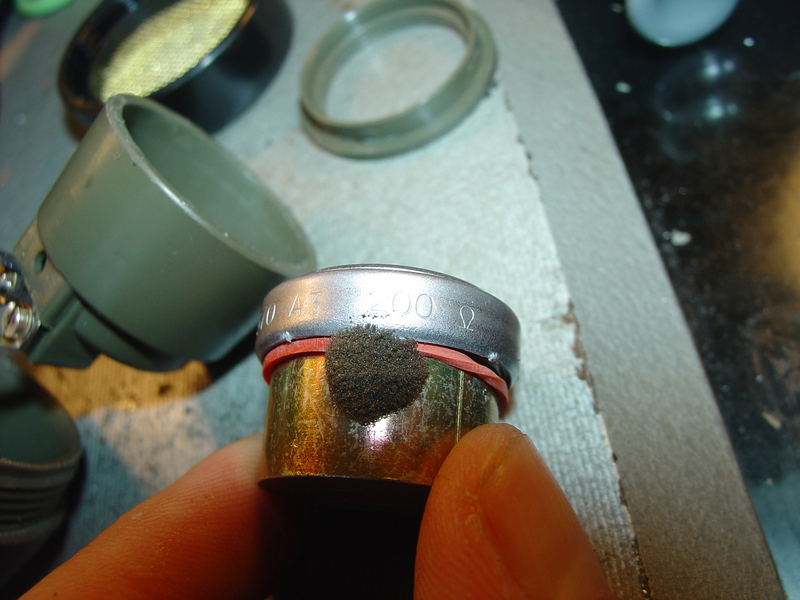 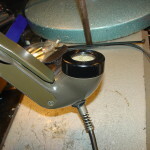 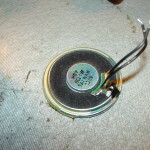 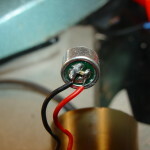 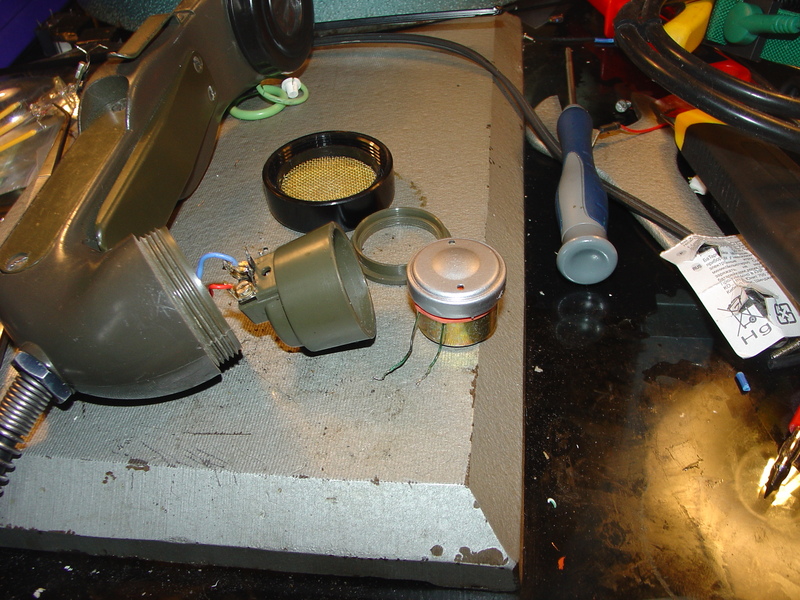 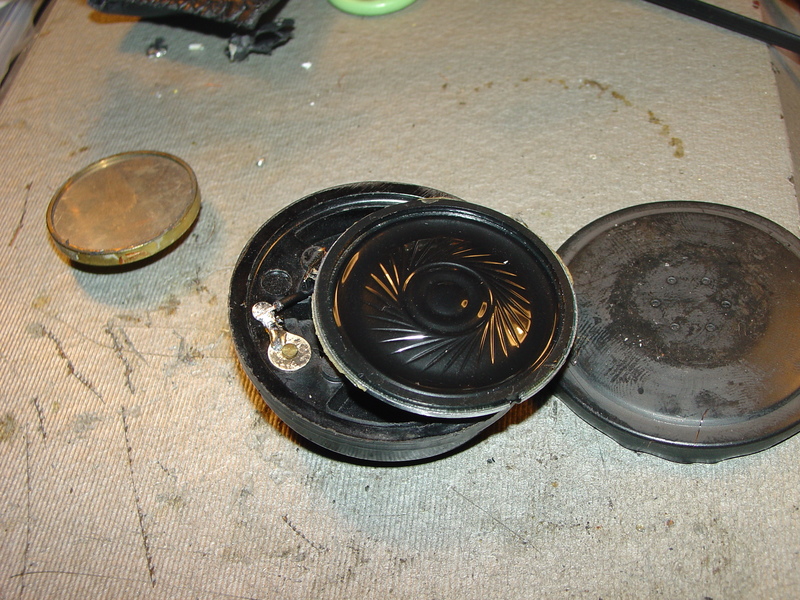 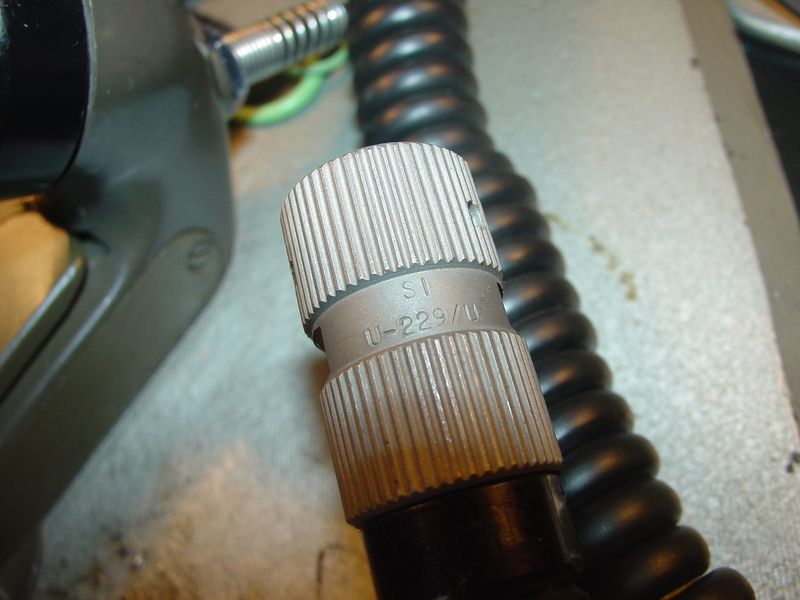 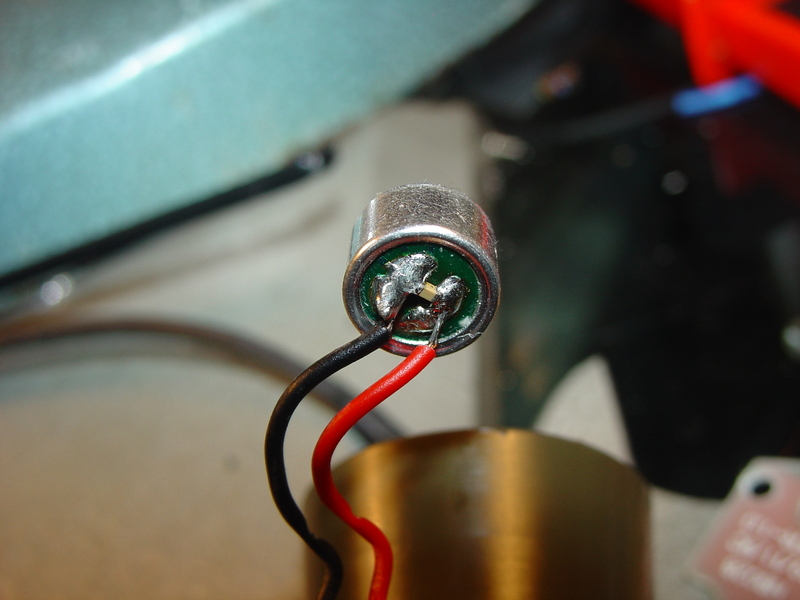 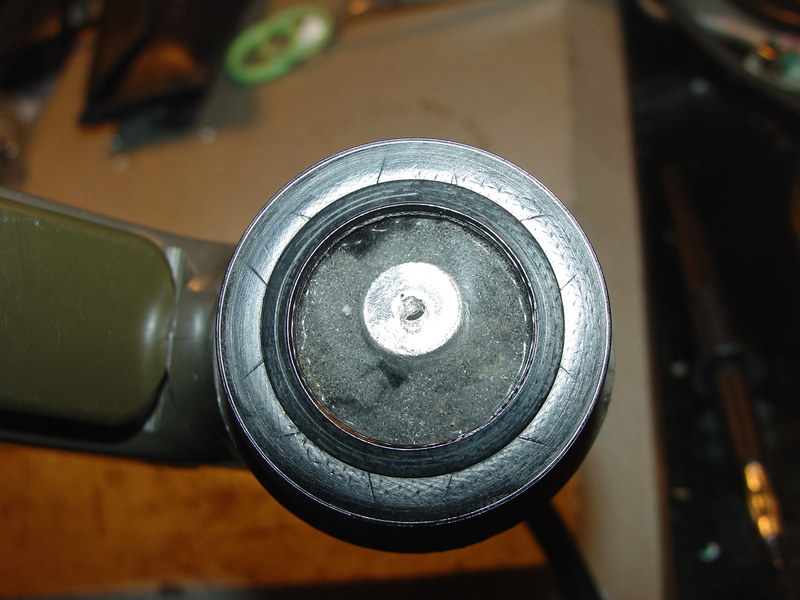 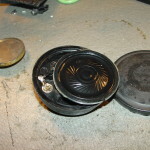 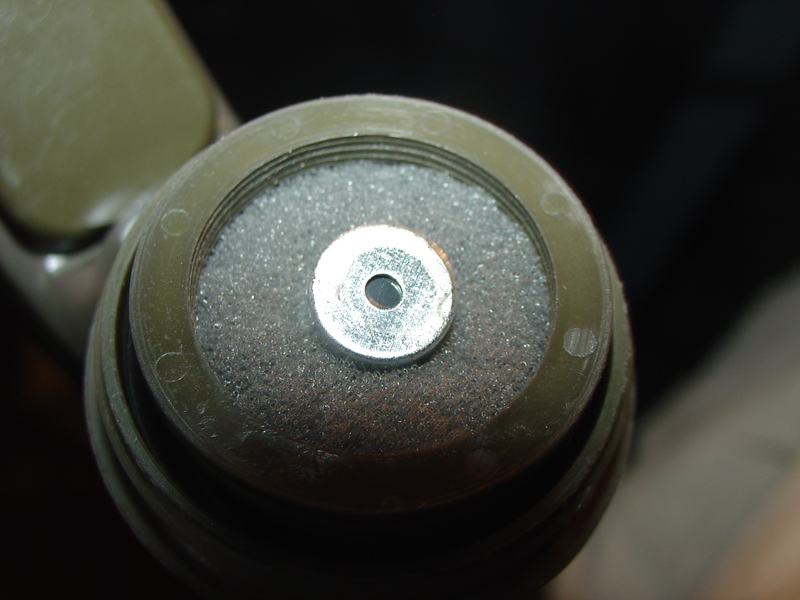 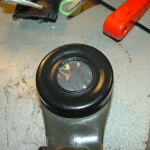 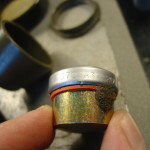 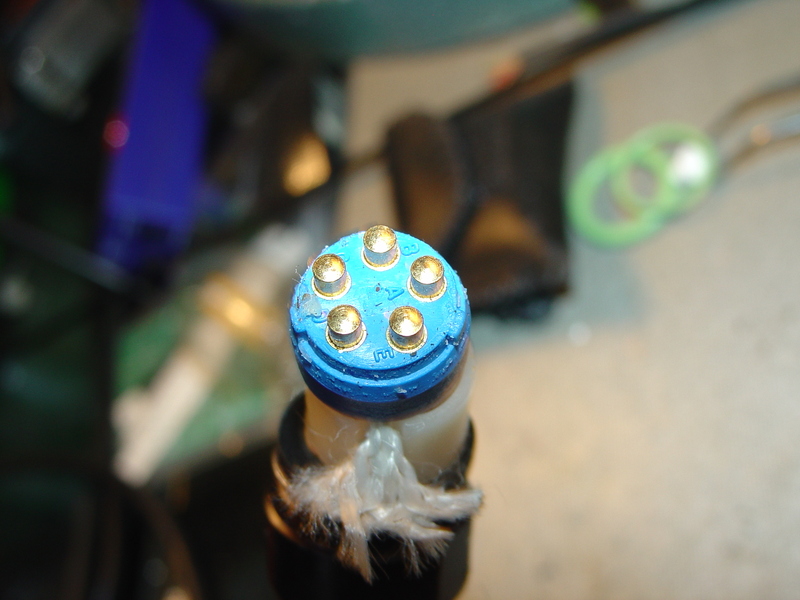 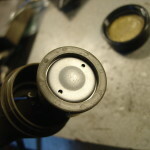 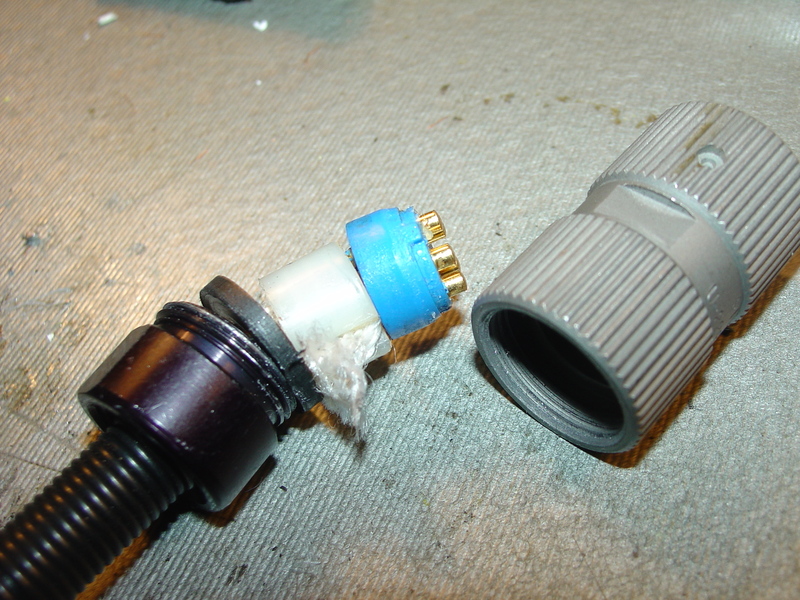 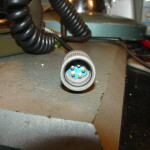 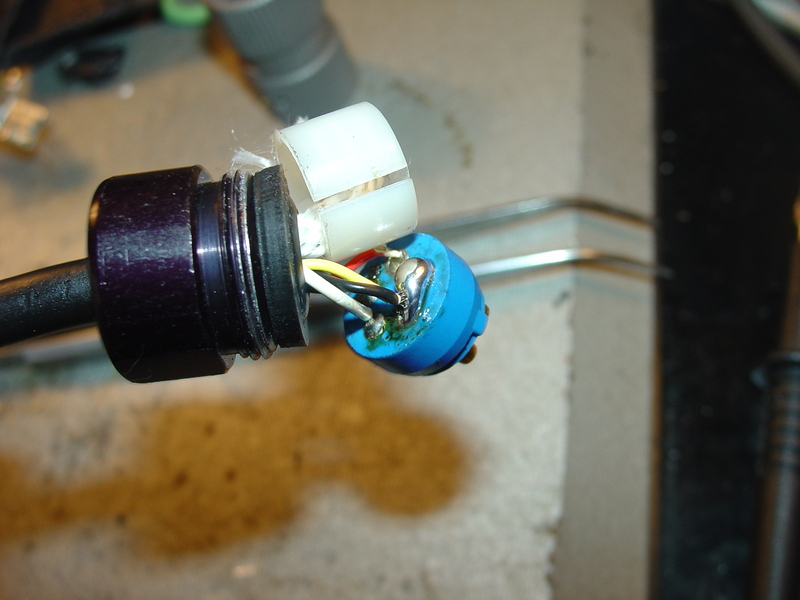 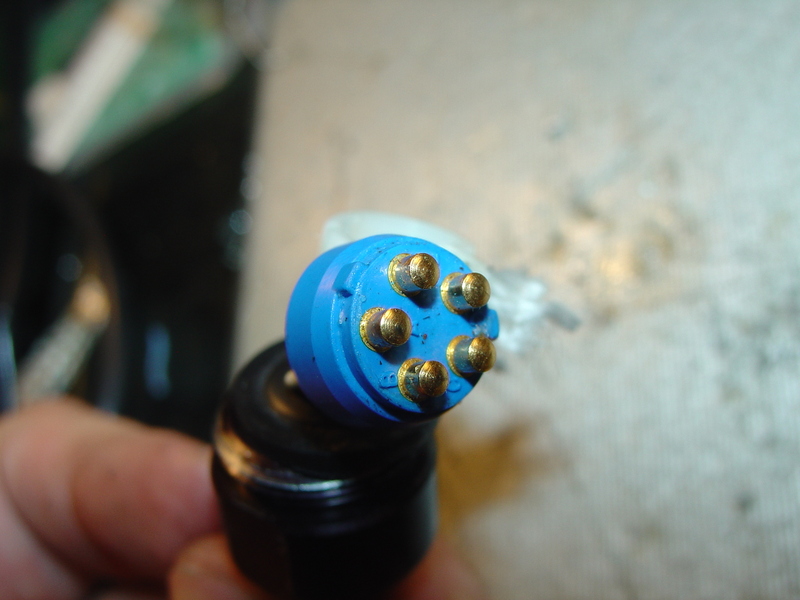 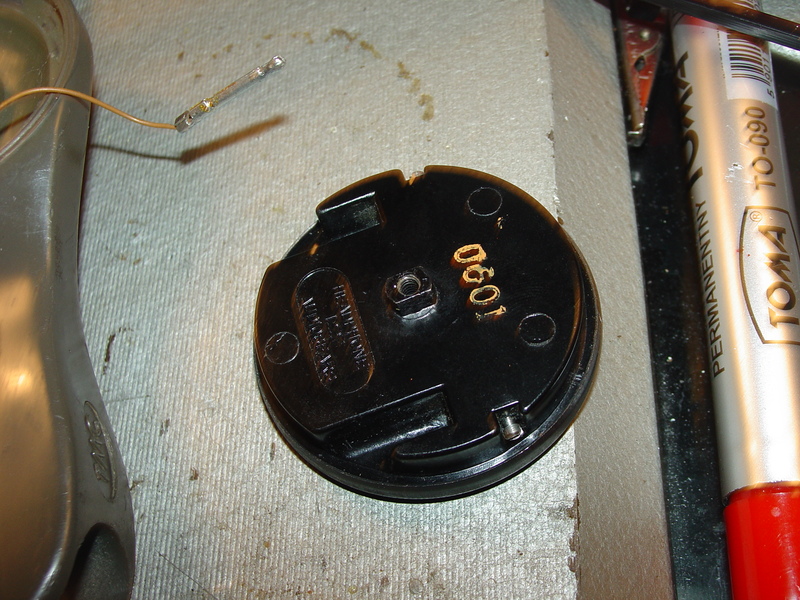 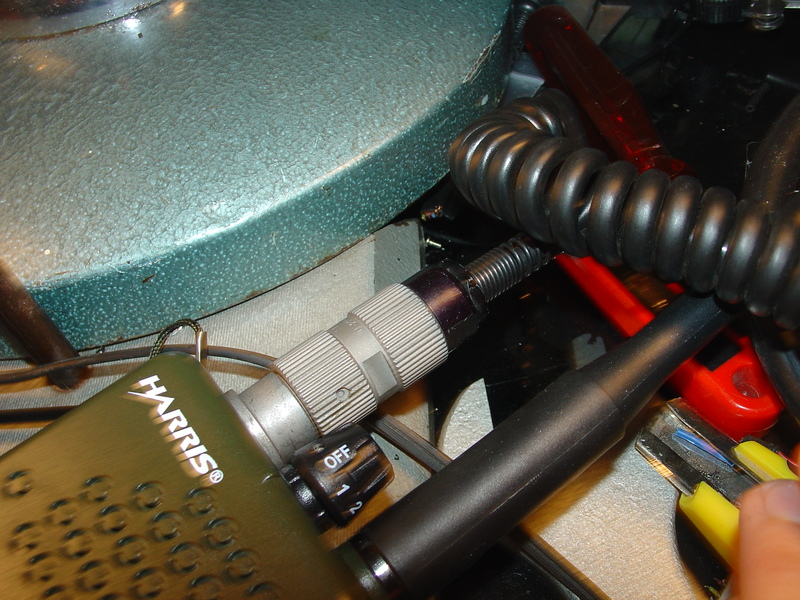 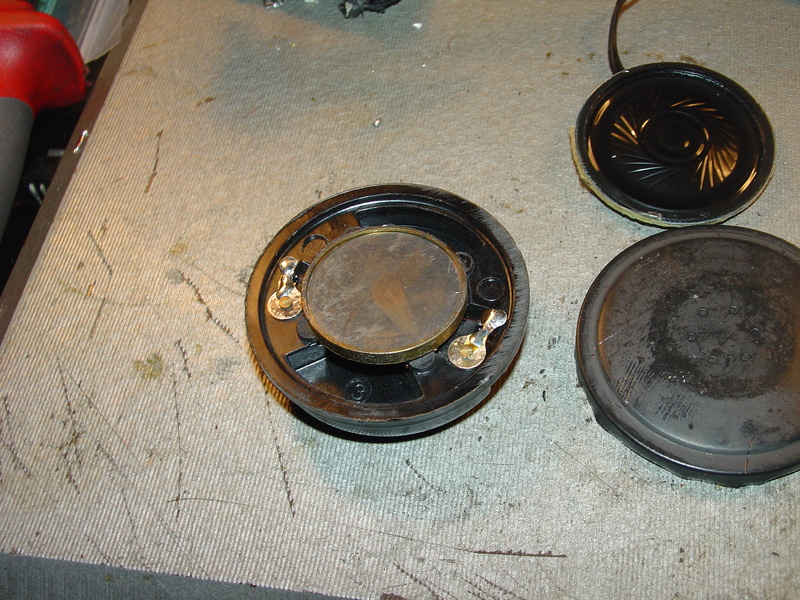 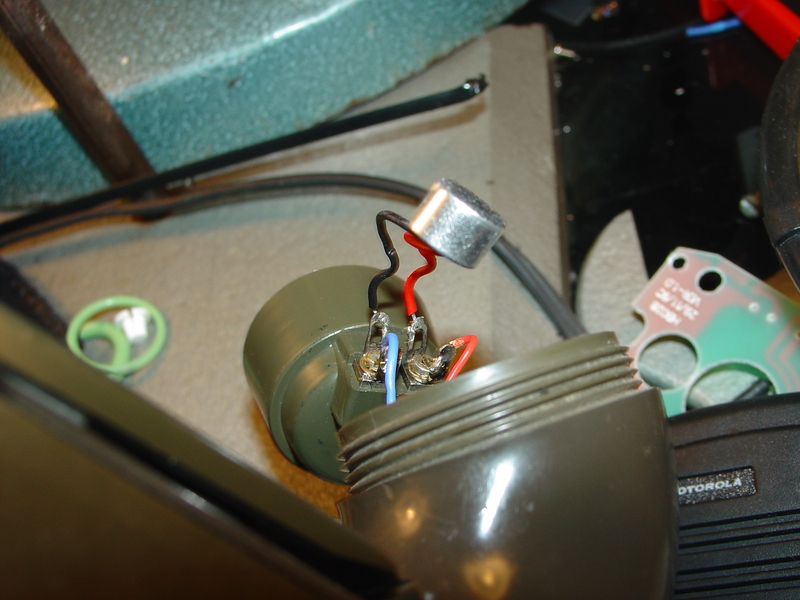 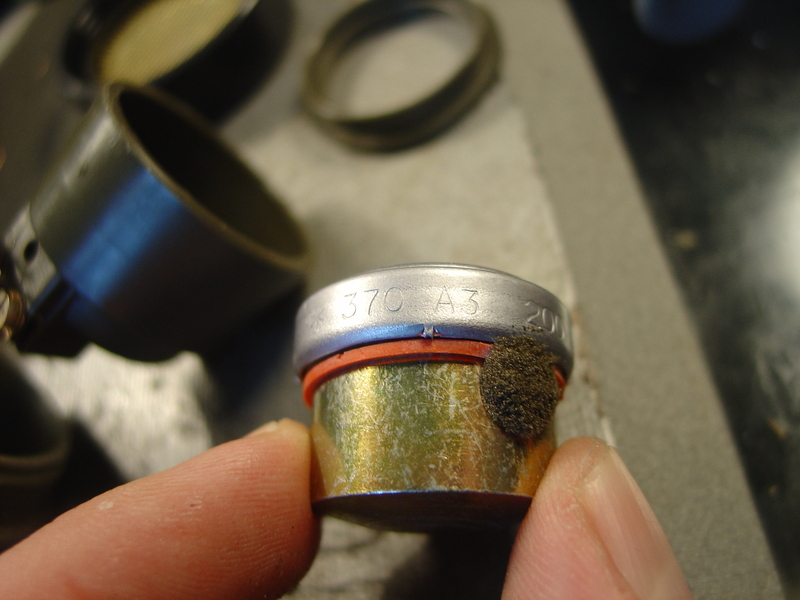 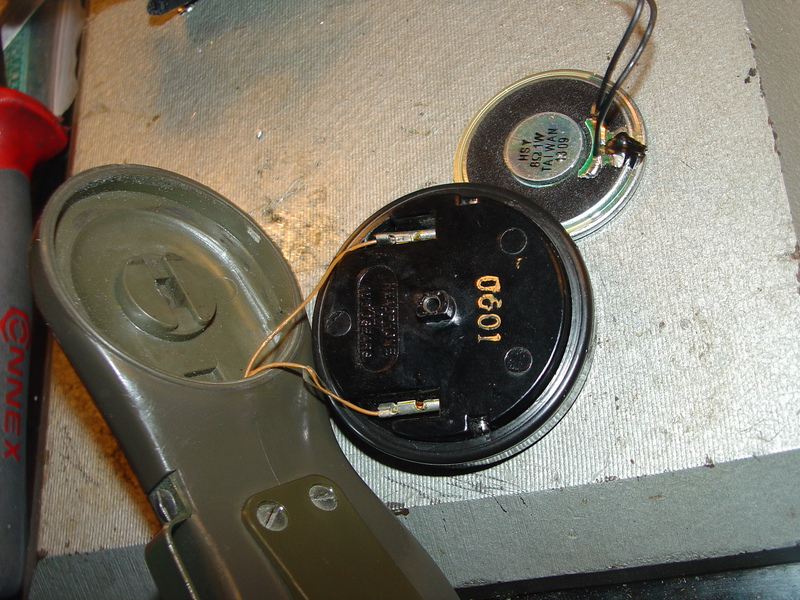 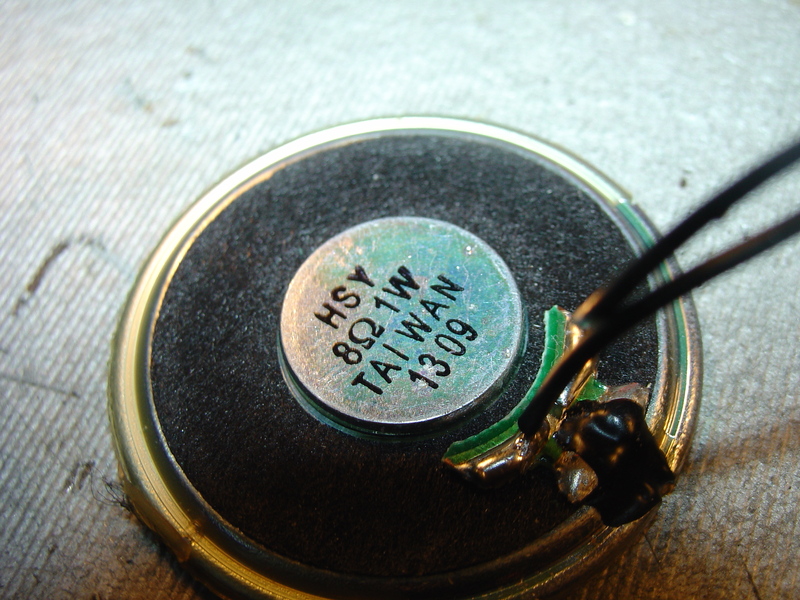 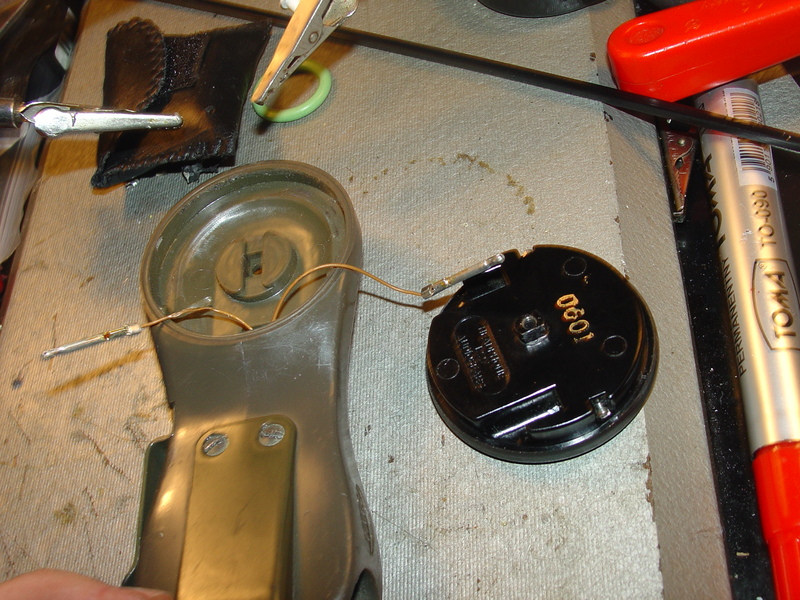 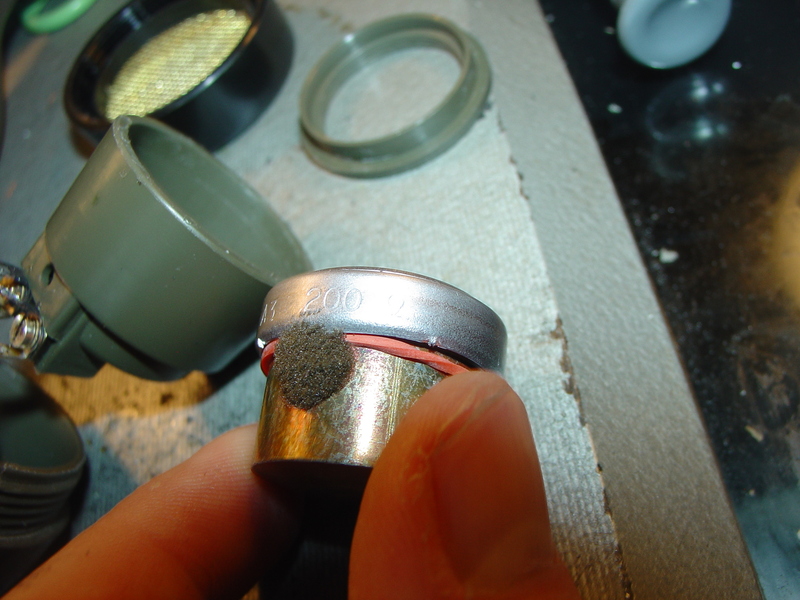 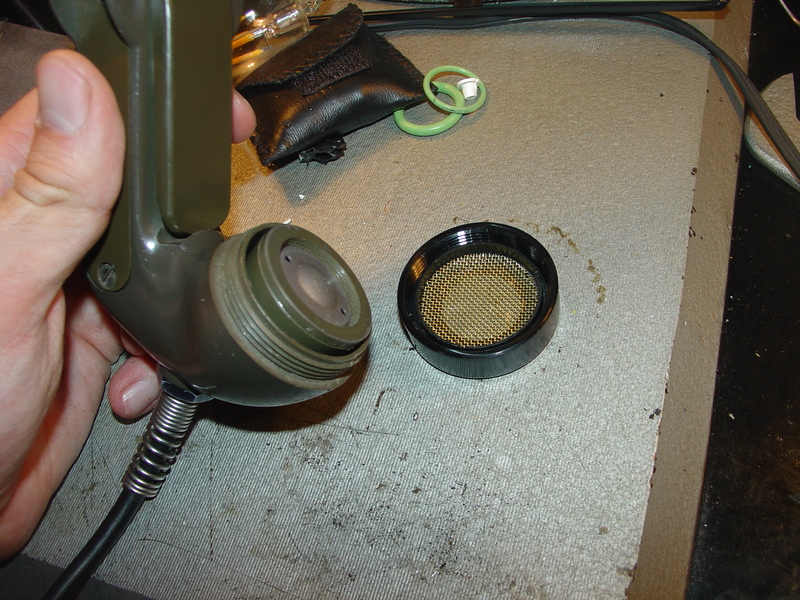 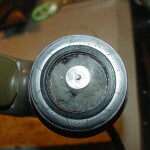 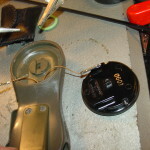 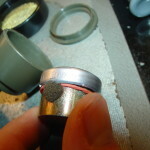 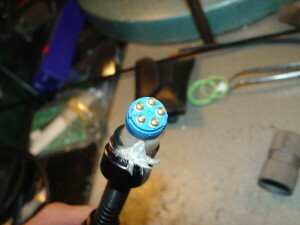 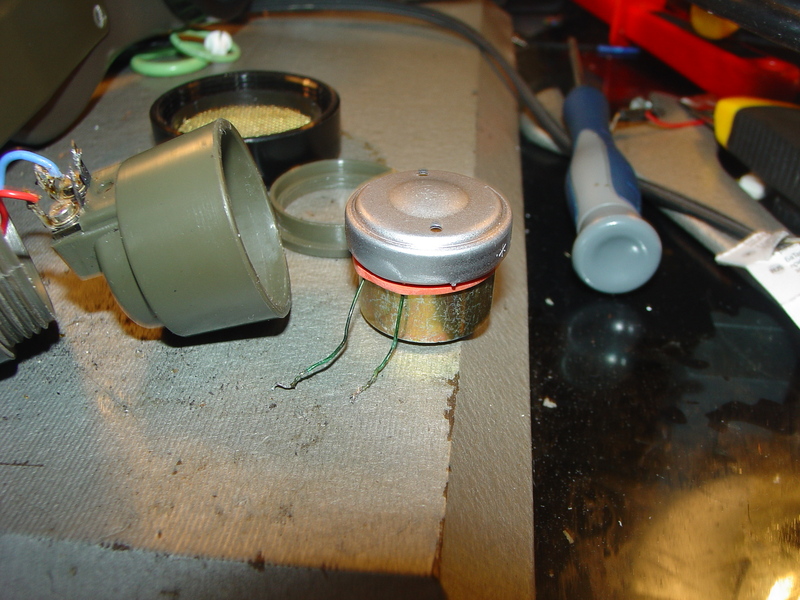 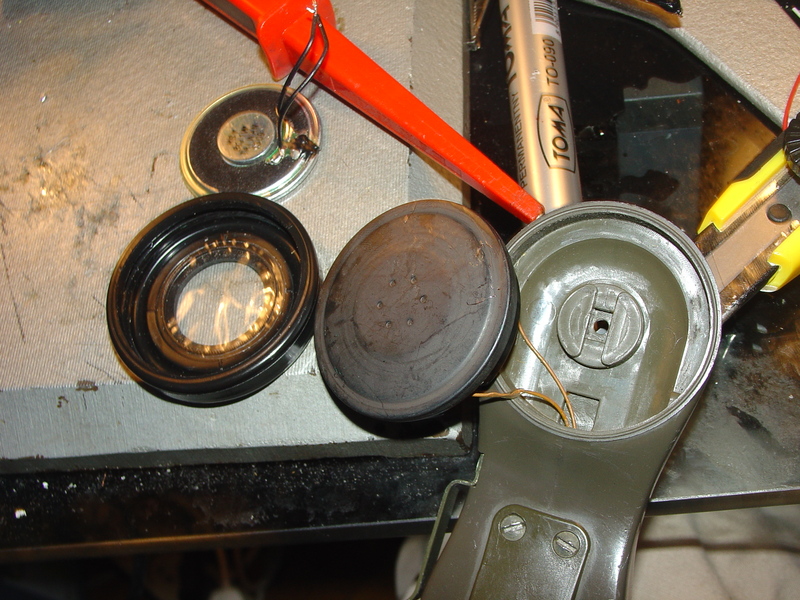 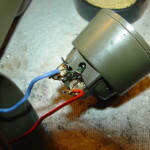 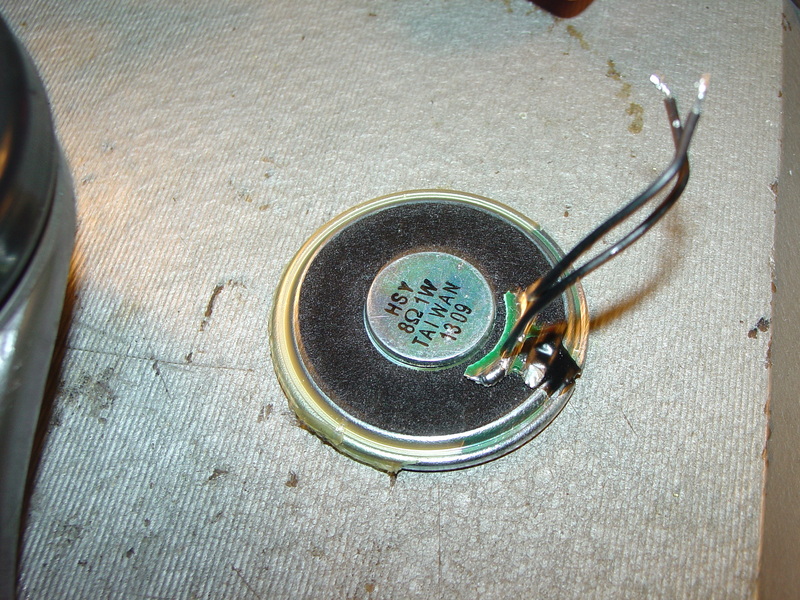 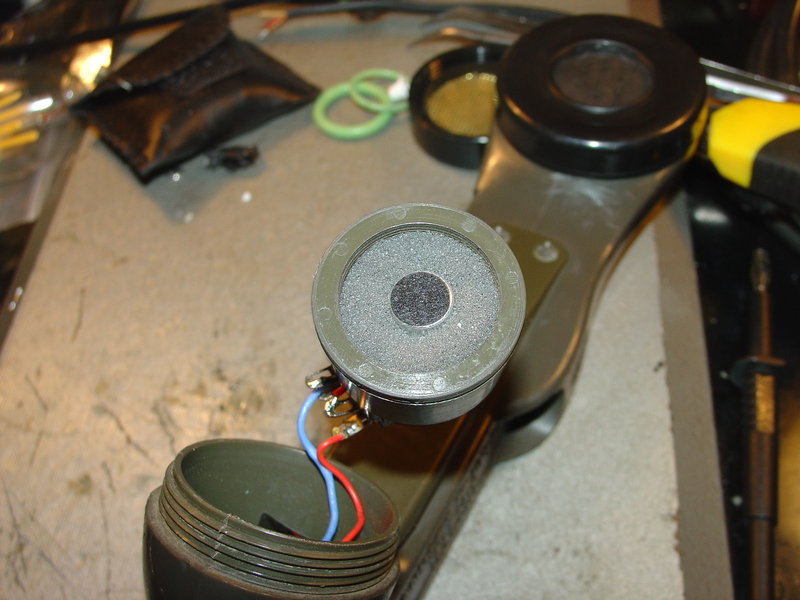 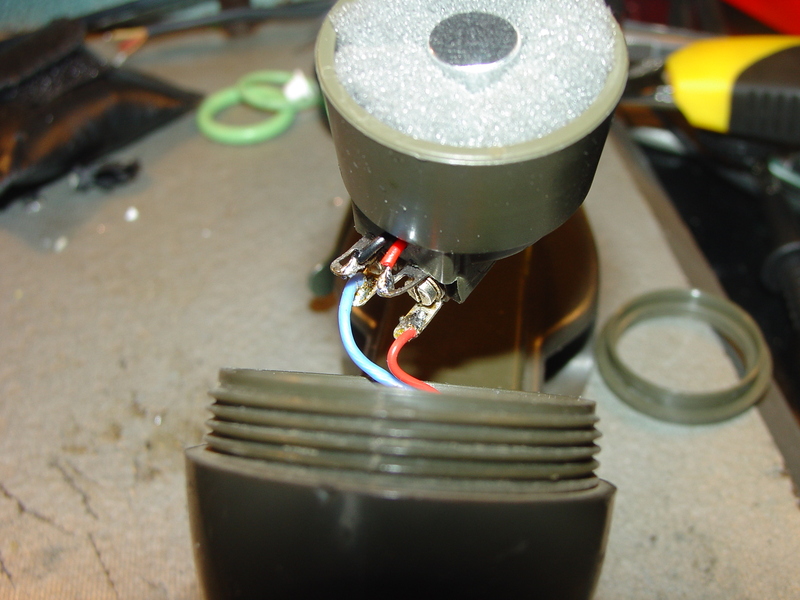 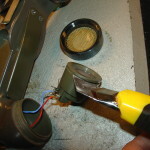 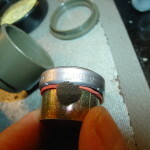 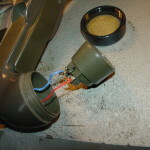 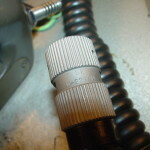 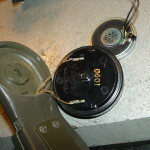 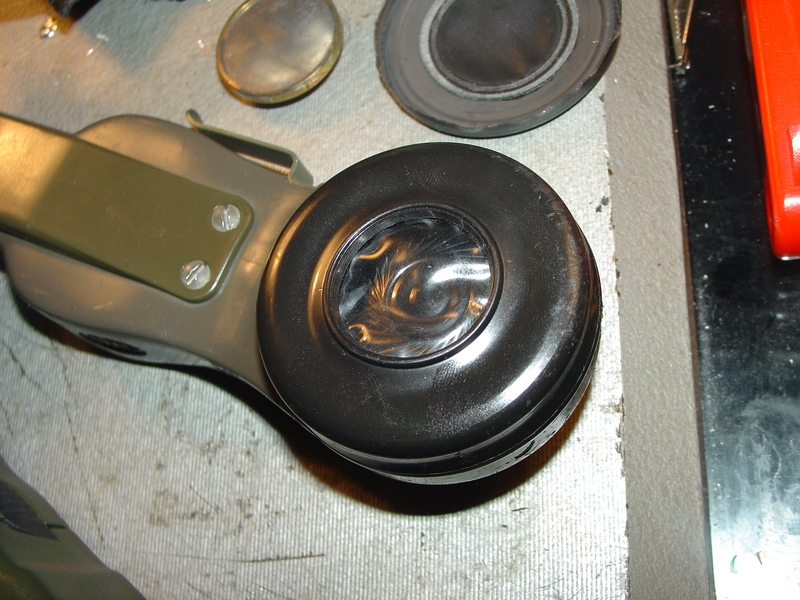 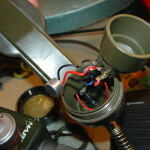 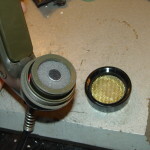 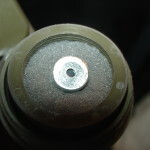 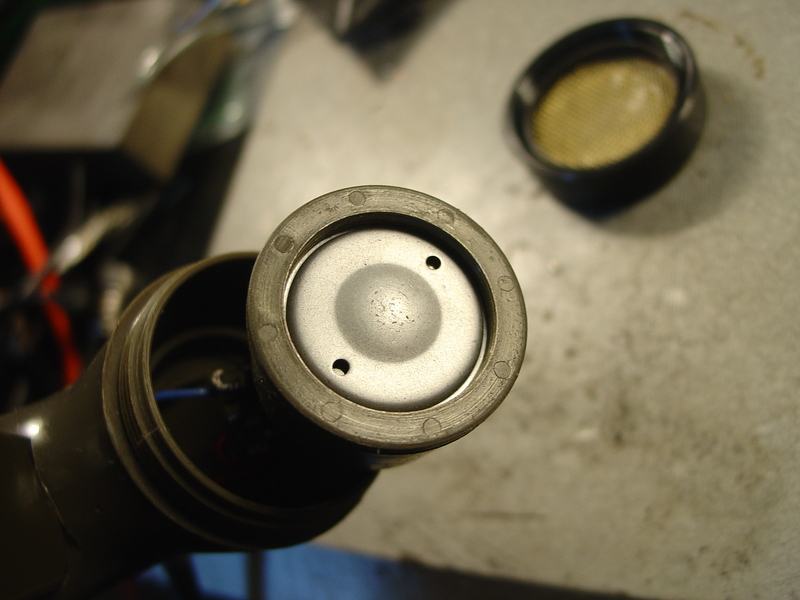 Fixing always on speaker mic inside radio by shorting A-E pin inside plug. 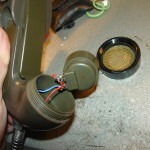 I have a problem whit the connection betwin u 229 and hand set. 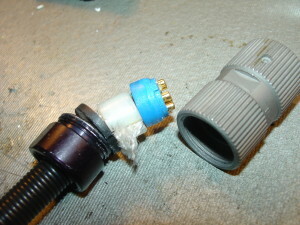 Would you tell me how connect this?